They’ve been out of commission for 22 years, but you’d never know it listening to Mission of Burma’s powerful, bracingly-fresh, time-warp of a post-punk/art-rocking noise assault, recorded last year. It sounds more like someone lowered the stylus on a record that’s been spinning silently for decades than the premier effort of a re-formed trio of middle- aged geezers who sound as youthfully exuberant as they did in 1979. 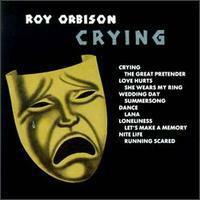 I'm not sure how many Roy Orbison completists are out there. I know two: myself and my friend Frank Doris. Classic has issued Orbison's Crying in both mono and stereo and a good case can be made for either edition, once the case has been made for the music, which is a bit of a more difficult proposition. Maybe you kicked yourself for not buying Steve Hoffman’s outstanding re-mastering of The All Tme Greatest Hits of Roy Oribison issued by DCC Compact Classics almost a decade ago. Maybe you didn’t have a turntable back then. Or maybe you have a copy of that limited edition release and you think it is now gaining value.It's not, now that this edition is about to be released. Producer Norman Granz's “songbook” concept, made possible by the invention of the LP, proved to be one of his most popular and enduring ideas. Ella sang Rodgers and Hart, Cole Porter, and of course Gershwin, but this one, pairing two of the biggest names of the last musical century, with Ella performing with three ensembles, was perhaps Granz's most ambitious undertaking. 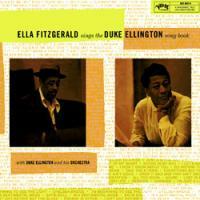 Ella and the Duke were signed to different labels, and both had busy concert and recording schedules, but after Ella performed with Ellington at a Jazz at the Philharmonic date, Granz set about getting the two together in a recording studio for a songbook production. With heartfelt help and support from his friends, Warren Zevon's musical sendoff is like a good funeral: a mixture of tears, laughter, fond remembrances, and in the end, a celebration of a life worth living, and one that obviously touched both those close at hand, and those seated in the audience. That’s how they spell “hippie” in the UK, I guess, so don’t blame me. 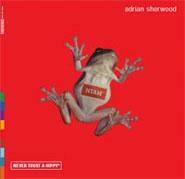 Sherwood is a well-respected re-mix artist who’s spent the past twenty years re-mixing or producing the work of others. This danceable double LP, saturated with rhythmic collages, melds dub-style reggae, old school Jamaican “toasting,” Pakistani Qawwal, and a potpouri of other world musical paraphernailia—heavily spiced with sound effects and musique concrete—into a delicious and nutritious sonic stew. One of the problems with 180g LPs is that they're usually expensive, so when something interesting, but minor gets released, like this recently discovered tape, buyers hesitate. 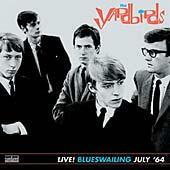 Fortunately, Sundazed keeps their prices down to around CD level and below, so this previously undocumented live performance by the “classic” lineup, recorded sometime in July of 1964 becomes a feasible addition to one's Yardbirds/Clapton archives.